Freshwater Only Fishing Guides. 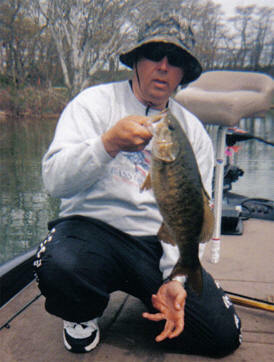 Having fished for over 38 yrs I am perfect to be your fishing partner. I also have other partners that will take you out in their boat and supply all the Rods reels and tackle for one or more days of fishing. If need be we will set up your accomodations at a local motel while we fish the plentiful lakes in RI, MA, CT, NH and ME for mine and your favorite game fish Large Mouth and Small Mouth Bass. ( Other species available) Northern Pike-I have fished Bass tournaments since 1988.